We are so excited to have our new Buddy Bench finished and placed on our playground at College Square Elem. Thank you to everyone who contributed their time and money to make this happen! Please click HERE to RSVP for our PTO Family Movie Night Event. 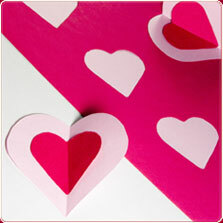 To sign-up to volunteer at our Valentine’s Day parties, please click the link below. Since volunteers are responsible for supervising kids and facilitating activities, please make childcare arrangements for siblings. Each classroom will need snacks, drinks, paper products, games & crafts. The only volunteers present in the classroom are those supplying games & crafts. Please plan to arrive by 2pm. Volunteers must have all clearances on file with the district as an approved district volunteer and have paid the $10.00 PTO fee. Harlem Wizards Vs. Our Very Own Beaver Bobcat Teachers Basketball Game Tickets Go On Sale at 6pm Tonight!!!! All ticket sales will be online this year and the link can be found below and on our PTO Facebook Page as well. Please make sure you order your tickets early. This game sold out last year. Get your tickets early for a chance to win prizes in the daily drawing through January 31st. Winners will be posted daily. A portion of all sales will go towards College Square PTO and Dutch Ridge PTA. 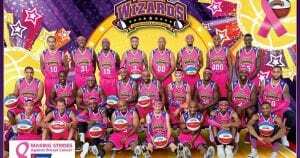 Click Here to visit the Harlem Wizards Facebook Page. Click Here to visit the Harlem Wizards Vs. Beaver Bobcat Teachers Facebook Event Page. THANK YOU to all who have participated in this year long fundraiser. School Store has an online store, earns rebates for our school, and Gift Cards can be purchased for teachers. This school year we have raised $1,316.30 in rebate cash; which is being used to purchase items and supplies for our classrooms. We have also had $8,845 in Caring for Teacher Gift Cards donated to our teachers so far this school year. This is more than generous! Our teachers have been able to purchase items from their classroom wish lists with these gift cards. Today, Jan. 23rd, the School Store Postcard campaign starts. Please take the time to fill out these postcards and return them to school with your student(s). There is no deadline to return postcards; however, everyone who does so by Feb. 1st will be entered into a drawing to win an Inflatable Remote Control Minion. Every child who participates will receive a prize. 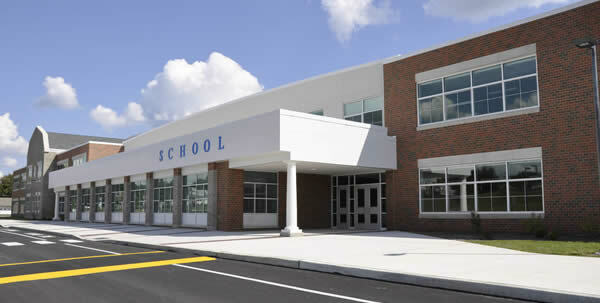 Please click on the link below just remember to choose our school so we get credit for you purchases and/or donations. Thank You!! Our Thursday, December 13th PTO Meeting has been canceled. Our next meeting is Thursday, January 10, 2019. This year our Holiday Shoppe is Wednesday, December 12th and Thursday, December 13th. Our students get to Christmas Shop for Friends and loved ones during school hours. They have a blast every year! There will be local vendors with tables set up with lots of wonderful gift ideas at this year’s Holiday Shoppe. We need volunteers to help our students shop and wrap 2 of their gifts. Enough volunteers are what contributes to our students having a wonderful shopping experience. Remember that you can only volunteer if you are a PTO Member and have your clearances turned into the BASD. Please click HERE to sign up to volunteer. Class shopping schedule is posted on the signup page. Teacher Wish Lists Are Being Updated!! Many of our College Square Families purchase gifts throughout the year for our teachers. Some examples of gifts would be birthday, Christmas, thank you, and just because thoughtful gifts. Therefore, the PTO has taken the time to have teaching staff put together a teacher/classroom wish list to better help with gift ideas. The Teacher Wish Lists include our teaching staff’s personal likes and classroom wants and needs. Our amazing teaching staff regularly has to purchase supplies or items for their classrooms out their own pocket. This is why the PTO felt it was important to add classroom wants and needs to the lists. If you locate your teacher and their is no information under her/his name your teacher just has not provided any information to us yet. The teacher wish lists can be found by just clicking on the Teacher Wish List tab at the top of this main page. Once you select the Teacher Wish List tab you will see that the teaching staff is broken down by grades, specials, support, and staff to better organize and find your teacher(s). We plan to update these lists periodically throughout the school year. Thank you to all of our wonderful College Square families for your continuing support and we hope these Teacher Wish Lists are helpful and beneficial to all. All parents/guardians are invited to share feedback with our PTO about interest in Family Programming. There are two brief surveys – one is related to types of family programming, best times and volunteer help; one is related to our Family STEAM Night and partnering with parents or companies/corporations to offer activities. We welcome your feedback and ideas. The surveys will close on November 21. We invite everyone to come out for dinner and cheer on our College Square Teachers working behind the counter of our local McDonald’s. That’s right our very own teachers will be taking your orders and cooking your food. 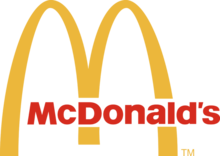 McTeacher Night is an annual PTO fundraising event that combines the efforts of the College Square PTO and Teaching Staff, partnering with our local McDonald’s with a percentage of all sales during this event going to help pay for fieldtrips, events, and classroom supplies. We hope to see everyone out for dinner during McTeacher Night to support our school and to cheer on our Teaching Staff. Please click HERE to sign up to donate foods for the Teacher Appreciation Luncheon! The costume parade starts at 2:20pm. As long as the weather permits it will be out side families welcome to watch. The parties will begin after the parade, around 2:30pm. Volunteering to provide snacks and drinks are not a commitment to help at the party. Only designated volunteers will be permitted to help at the parties. All party volunteers must be approved District volunteers (clearances on file and Board-approved) and be PTO members. To sign-up as a party volunteer or to donate items, please click HERE. Jog-A-Thon is our biggest fundraiser of the year and it is October 25th. The kids have lots of fun every year. They get excited to find out how many laps they were able to run. Reminder that our donation collection is happening now and is due by October 22nd. We are asking for volunteers with clearances turned into the school to sign up to help the day off. Not only do the kids have fun but the adults have fun watching the kids and cheering them on. Please click HERE to sign up to help the day of. Thank you everyone for your part. The Scholastic Book Fair is to take place next week October 2 & 3rd ( Tuesday & Wednesday) during school hours for all our Fairy Tale Creatures (students) to shop. The Book Fair will also be open for families to shop during Open House Thursday, October 4th 6 – 7:30 pm. We are looking for Volunteers to sign up to help during all 3 days of the Book Fair. Please remember that you must have your clearances turned into the district before volunteering to help. Please click HERE to volunteer. Hi Everyone! Be on the lookout because your children will be coming home today with their School Store Envelopes. We have participated with School Store, an online shopping program that helps our school raise money, for the last 2 years with great success. This program works a lot like Ebates with over 400 online stores like Walmart, target, and old navy to shop from on line. All students who participate and return their envelope with their prize code on it will earn a prize. We will be having an additional promotion for all students who return their envelope to the school by Friday, September 14th will be entered to win an emoji inflatable chair! School Store is also offering our school an additional 4% of sales if we can beat our number of 83 families who enrolled last year. I know we can do this!! Remember this fundraiser runs for the entire 2018-19 school year! Happy Shopping! Click Here to what a video to help explain a little about the School Store. Click Here to share a video with your student(s) to explain a little about the program to them. 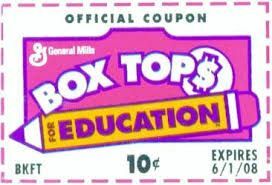 Hope everyone got the Box Tops for Education Letter and Collection Sheet we sent home with your children. We are excited to see just how much “Free” money we can collect for our school just by clipping Box Tops. We get 10Cents per Box Top. It might not sound like a lot, but it adds up quickly. Last year we raised $1300, and in years past almost as much as $4000! Remember this month’s Collection Sheet can be turned in at any time, but is due by September 28th. If you don’t have a collection Sheet, thats ok, just put them in a ziploc bag with hyour child’s name and teacher on it. We just wanted to take this time to let you all know we are taking some time to update our website. Sorry for the inconvenience it might cause. We hope everyone is enjoying their summer! Spirit Wear Fundraiser! College Square & Dutch Ridge have partnered with Threadz & Ink to offer an online, year round, spirit wear store. This fundraiser will benefit both our elementary schools. Please visit back often because new items periodically will be added. The quality of the clothes are amazing. Mike from Threadz & Ink strives for the best quality in products and in customer service. Please click on the link below to take you directly to or online spirit wear store. 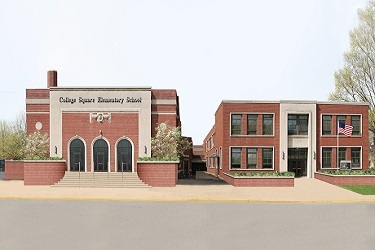 © College Square Elementary PTO 2019 - Powered by Digital PTO - Theme by Colorado Web Solutions & Belouga.